If you've ever gone to a Lilly Pulitzer store and fallen in love with the chic furnishings, you're in for a surprise. Mark your calendars for February 22 at 11 a.m. 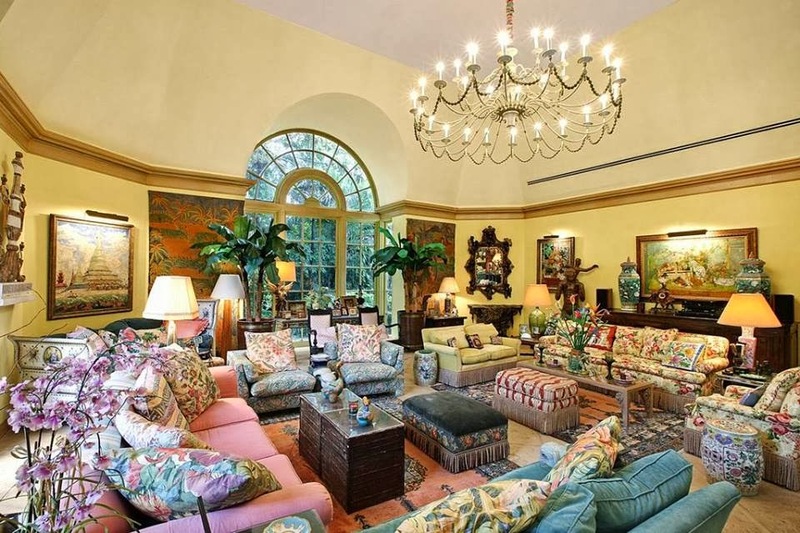 The colorful furnishings from Lilly Pulitzer's Palm Beach estate will be available for purchase. Watch for more information from Leslie Hindman about the auction that will be held at its West Palm beach location–1608 West Dixie Highway. From the auction website, "Highlights from the collections being offered in January include a Tiffany Studios Bronze and Nautilus Shell Desk Lamp, with an estimate of $5,000-7,000; a Royal Copenhagen Flora Danica Partial Dinner Service, with an estimate of $25,000-35,000; an Italian Sterling Silver Six Piece Tea and Coffee Service, Buccellati, with an estimate of $5,000-7,000; and a Meissen Porcelain Fourteen-Piece Monkey Band, with an estimate of $6,000-8,000." The sale will accept live, phone, absentee and internet bids. Oh my goodness, I wish I was in the area that weekend! A Lilly Pulitzer Estate sale sounds glorious!! Are you going?! You will have to instagram EVERYTHING!! Oh how I wish I could go, oh how I wish I had money to but everything, anything.